In this lesson, we will learn how to sketch exponential functions. Which graph demonstrates exponential growth? 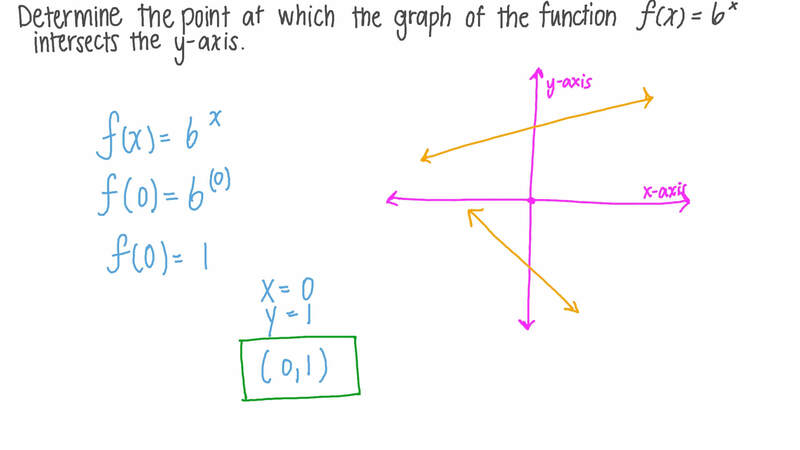 Determine the point at which the graph of the function 𝑓 ( 𝑥 ) = 6 𝑥 intersects the 𝑦 -axis. 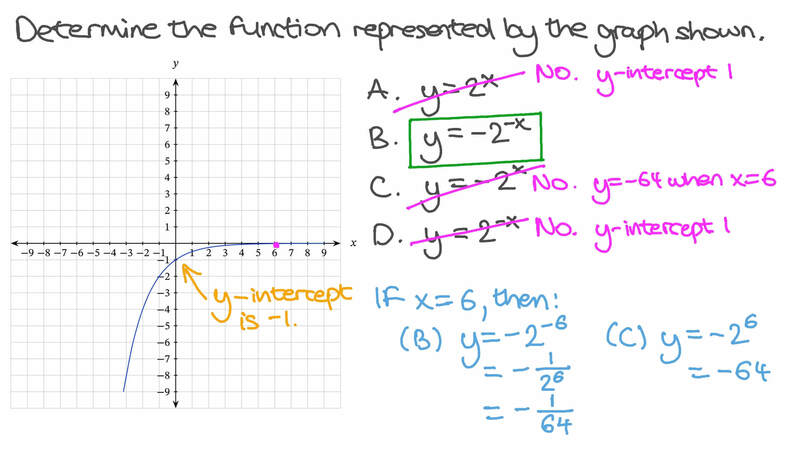 Determine the function represented by the graph shown. The graph of the function 𝑓 ( 𝑥 ) = 𝑎 𝑥 passes through the point ( 3 , 1 ) . What is the value of 𝑎 ? 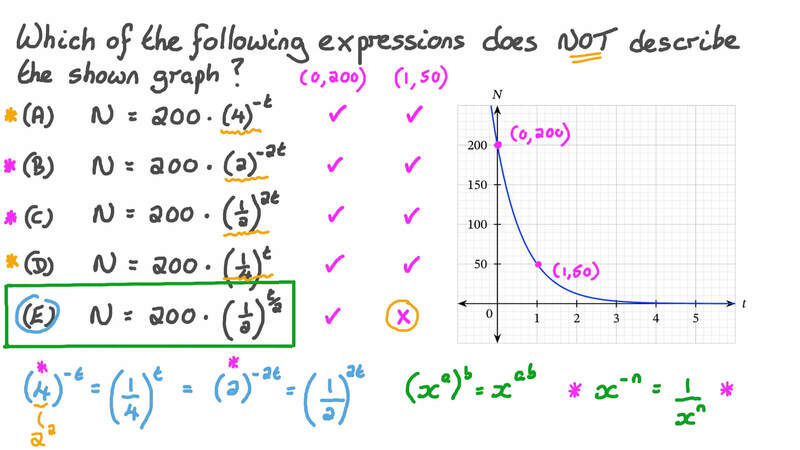 Which of the following expressions does NOT describe the shown graph? Which of the following graphs represents the equation 𝑦 = − 4 ( 2 ) 𝑥 ? Which of the following graphs represents the equation 𝑦 =  1 4  𝑥 ? Which of the following could be the equation of the curve? Which of the following graphs represents the equation 𝑦 =  2 3  𝑥 ? Which of the following graphs represents the equation 𝑦 = 2 ( 3 ) 𝑥 ?